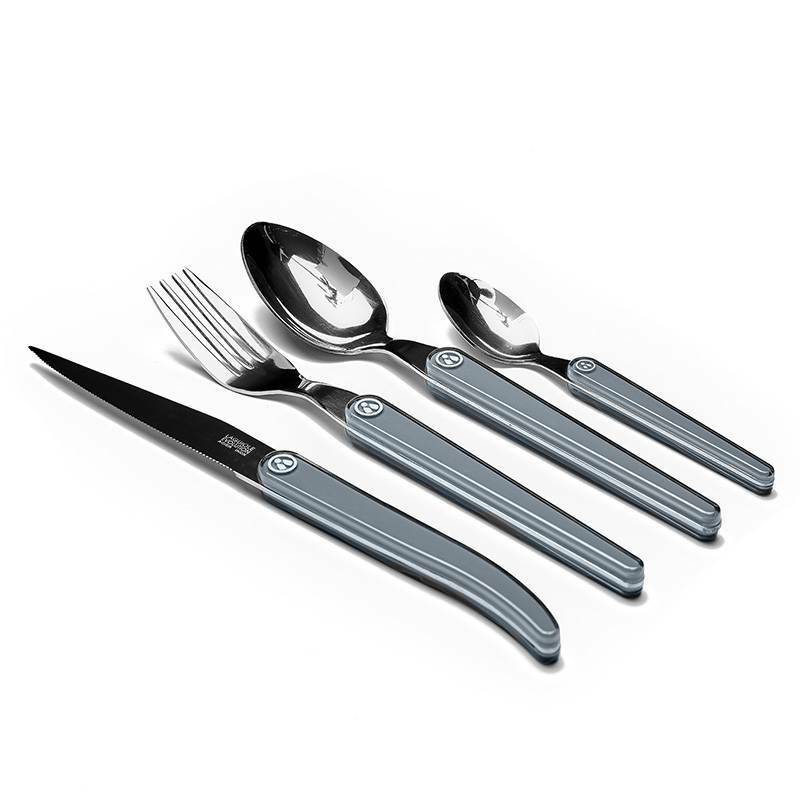 The Laguiole Evolution cutlery set is made of tempered 18/0 stainless steel. 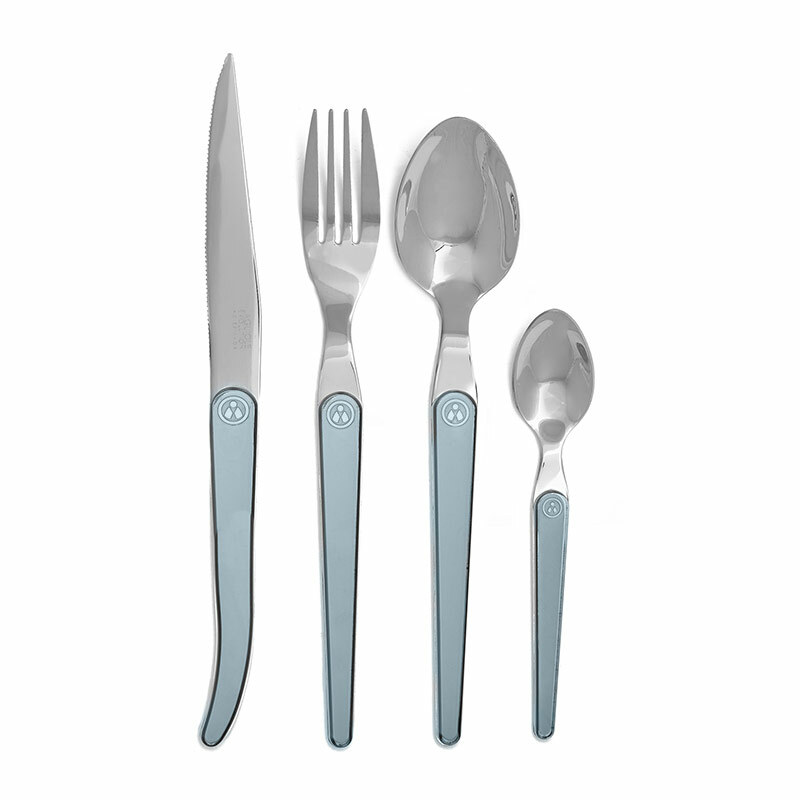 Full tang, they display a mirror polished finish. 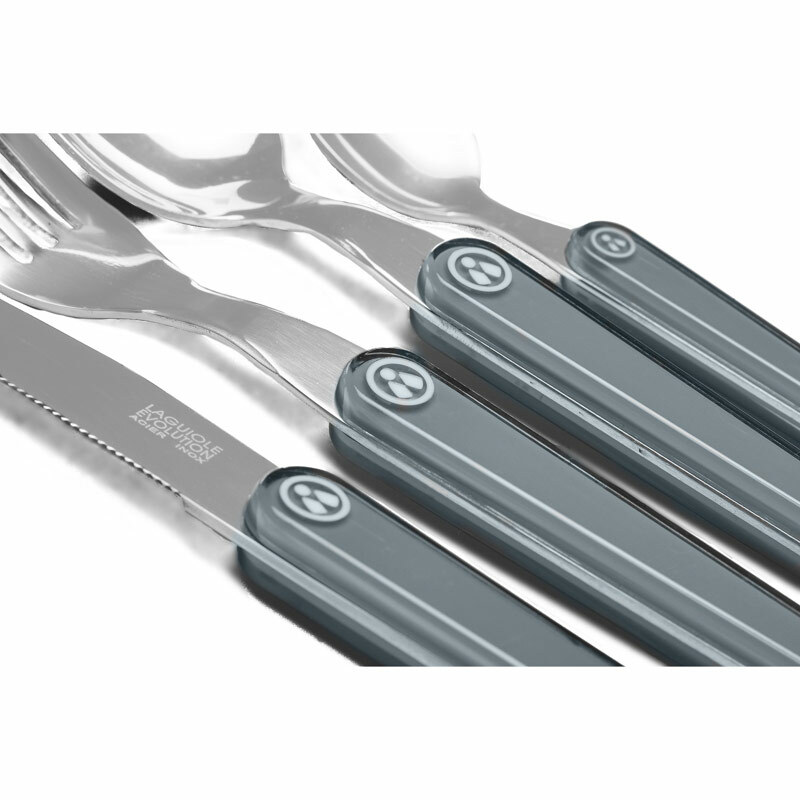 The full tang steel handle has an ABS handle, a light polymer famous for its shock-resistance and its dishwasher safety. 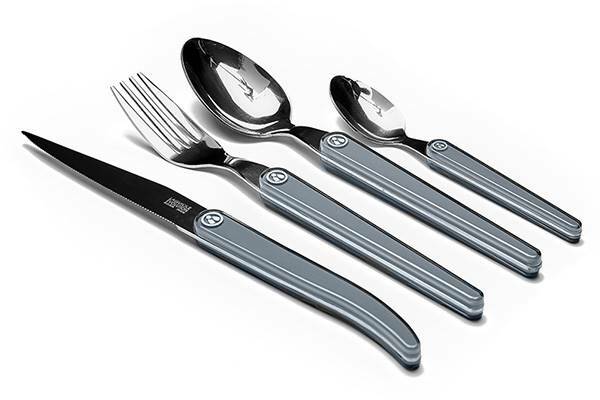 Coming from the Laguiole Evolution® design, the knives of this cutlery set take the lines of the famous traditional Laguiole knife, to offer a resolutely contemporary look.